One of the actions as described in my previous post in this series consisted of looking for existing answers. These existing answers can fit in the mainstream belief system or can be from a weird point of view. Weird often means "doesn't fit in my belief system". Asking the right questions (and finding answers to them) allows you to (un)conditionally accept or (un)conditionally reject an answer. It is you, and you alone, that makes up your mind. You are the one who defines your belief system. Nothing, believe me, really nothing is in your way of generating your own answers. Initially probably better called hypothesis. But as with all the existing answers, ask the right questions. Not only the ones that support your hypothesis, but also the ones that might discredit it. For the latter, if you don't, other people will. So if you would like to communicate your answer to other people, it might be useful to think about potential negative evidence (and you can expose these at the same time). Not many scientists do so, so that's an opportunity to provide a better contribution to human knowledge. Before moving on a few words about belief systems. Of course you're free to have another opinion, so I'll just expose the way I think about belief systems. For me each individual has one and only one believe system. Mine will be different of yours, because my life has been different, my education and knowledge is (not was: life long learning) different, etc. Even when writing this post my belief system is changing. Yours is changing when reading this. I include everything I know (or think I know), all the questions I have, all hypothetical answers, all uncertainties, all (possibly flawed) certainties, all temporarily best theories and so forth. I also include whatever my senses acquire about the state of my environment, whether they make up their way to a perceived level (I become aware of it) or not. These senses are not limited to 5. Not sure how to categorize dreams, emotions and gut feelings, but they are in. Thinking out loud: I cannot find anything related to me that's not included. And the universe is related to me (and the other way around). What about you and me? As I mentioned above our belief systems are different but parts are similar. We can understand each other (to some extend) without the need to be explicit for everything. "In the Runakuna culture, reality is personal experience and collective experience: tell me your perception, your reality truly, don't distort it to manipulate me, and then I'll accept it as your reality without having to make it my own". Do you need more words to understand the implications? Explanations? With pleasure. Trying to convince me? Rejected! In many of your future hypothesis (and existing answers) this specific aspect will occur. But sometimes there are points we normally don't think about. An example is a noticeable delay between electrons moving from one end of big supercomputer to the other end. And we might enter the realm of relativity. Grasping a feeling of the implication when going beyond the earthly scale for distance (astronomical distances) is more difficult. We have never experienced it. And things get fuzzy. Scale effects also occur in terms of for example population: individual, family, town, nation, world population. And many, really many topics exist in which scale needs consideration. One of these, and very common, one for which many of us are not really aware of the huge implications, is the one I'm going to use to illustrate the effects of scale. Before any discussions are starting here, I'll give you my belief system related to time. At least the part I use when writing this post. Time: linear, continually progressing (one second, or fraction of that, at a time). The mainstream time. A little note about the term now. I have a hard time to conceive the term now without a particular context. In mathematics I can imagine an infinitesimal small point in time, that once has been now (or will be now if it's in the future). But in all other domains, looking at the semantics of now, at the very moment of "now", it already belongs to the past. When we use the term now, the context in which it is used defines some implicit duration. - What is your interpretation of the duration of now in various situations? And the others around you? What do they think? Ask them. - How would you teach an artificial intelligence what our human interpretation is of now? What are the implications of time? When thinking about time, one thing that might pop up (as almost all of us have experienced it) is that time is not perceived as linear (for the last time here: in this belief system). Just have a look at the numerous expressions in your own language about this non-linear perception. What was your day like 10 days ago? Out of your head, no agenda, nothing. Just think about 10 days ago. We all have some sense of how long a year is. Right? Let's think of a year in the form of a question: What remains of your experiences of the past 365 days? In your internal memory, i.e. what you can remember (the things you did, situations you were in, the dreams you had, etc ) and your external memory, i.e. your persistent creations (writings, photo's, paintings, etc.). Not so much for the things we commonly call achievements, but all the rest. What is the precision if you would like to put it on some time-line? An hour, a day, a month? What about 10 years ago? And for those to whom it applies: 20 or 50 years ago? How do the high volume social networks change this? Side step: in this context I'll define the term generation as having a length of 25 years. No discussion possible. Right? In this same context I'll consider that the life-span of a generation as lasting 3 generations. If my math is right that is 75 years. I just temporarily aligned your belief system on this topic with mine. Now think about one generation back in time: your parents. What do you know about their lives? 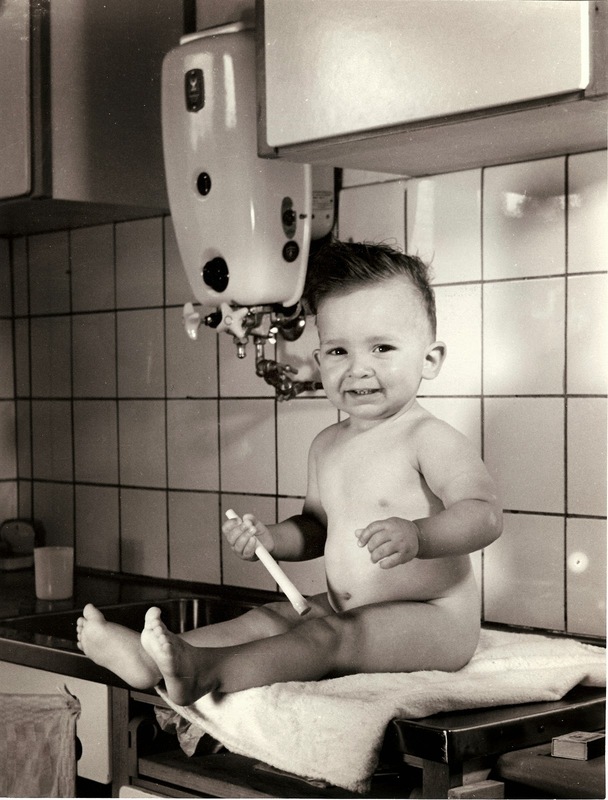 Before and after your birth? And your grand-parents? What would you do if you wanted to know a little bit more about their lives? If they are still alive, you can ask them. And/or dive into their archives. You'll get some insight in their personal life. You can use historical information to get a feeling about the general conditions in which they lived. How far are we back in time? That's only 2 generations, less than your own life-span. And things get really blurred already. The further we go back in time the less we know about personal lives. Exceptions are of course those individuals that occur in some kind of external memory (bibliographies e.g.). But that's quickly becoming a very, very tiny fraction of the world population. And even that is only a very small part of their real life. Or am I wrong here? Do you know the saying "the winners write history"? Numerous situations are documented where they even rewrite history. Destroying previous memories. In he name of ... whatever. Side step: Whenever you read a text (look at a painting) remember that the author made it's creation with his or her belief system in mind. And that that belief system is the result of his or her life. Things they've learned, heard, experienced. Got indoctrinated with. That there are huge differences between individuals, cultures and over time. That your interpretation of it is influenced by your own belief system. And thus is necessarily wrong to some extend. That the older the document is, the blurrier your belief system is about what was in the past. Let's make a 5 generation jump. 1890. I know, a bit more than 4 months lacking. Engagement present of Jan Mathijs Hubert Poell to Elisabeth Juliana Bühler, Breda, Netherlands, 1890. Spoons made by Popke Siebma in Groningen (Netherlands). 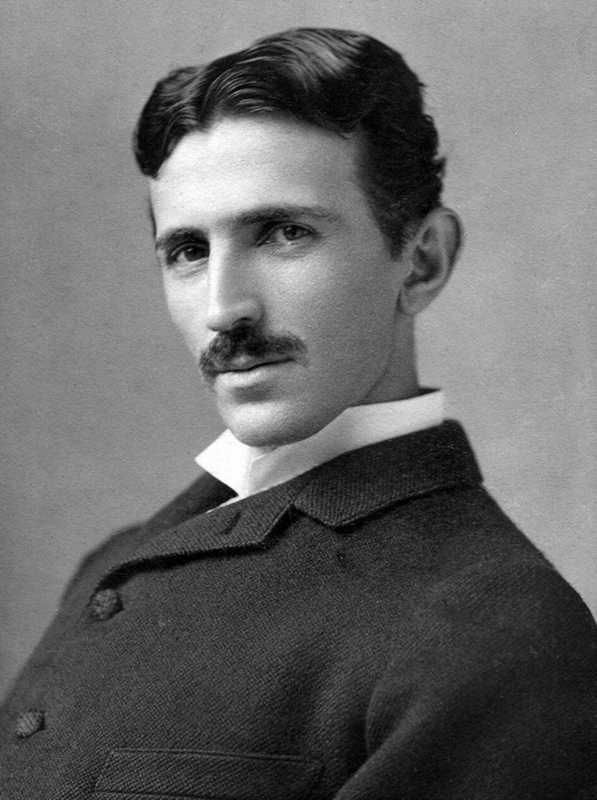 With his 34 years Nicolas Tesla is in the bloom of his life. My son's second great-grandfather (the father of my grandfather) gave an engagement present to my future great-grandmother. The Kingdom of Italy establishes Eritrea as its colony in the Horn of Africa. Wilhelm II, German Emperor, dismisses Otto von Bismarck. The United States Census Bureau begins using Herman Hollerith's tabulating machine to tabulate census returns using punched card input. Brown trout are introduced into the upper Firehole River in Yellowstone National Park. Francis Galton announces a statistical demonstration of the uniqueness and classifiability of individual human fingerprints. Side step: When using event list like these in wikipedia it is often useful to look at pages in other languages also (using automatic translations if needed). It will complete greatly your perception of what happened in the world. And remember Wikipedia is a community effort (with it's advantages and inconveniences). Fingerprints? A few years ago mine were digitally scanned at the US border. Punch cards? At the age of 15 I wrote my first computer program with punch cards. Looking back for 5 generations shows that there are remains of things that started at that time. Things each of you learned about the history of your country, your nation, your tribe. The good and the bad things that happened. Documented in external memories. In oral transmissions (with the risk of loss and transformation => this is a hint). What do we don't know? What were the hidden agenda's, obfuscated facts, perceptions of the losers? Remember history is (re)written by the winners. I propose to get 23 generations back. Complicated math shows that we are in 1439. And we are approximately 5 generations after the suppression of the Knights Templar (Friday, October 13, 1307) and 8 generations before the birth of Isaac Newton (25 December 1642). In that year, or shortly after that, the book press is said to be invented. By two persons almost at the same time: Johannes Gutenberg (Aachen, Germany) and Laurens Janszoon Coster (Alkmaar, Netherlands). These two towns are at a distance of approximately 250 km. Up to you to ask the right questions here. And this is all about external memories, distribution and access to them for a much greater number of people as previously possible. Diminution of the risk of permanent loss of information. Although voluntary destruction has persisted since (even up to our days). It created the need to learn to read for many people. Handwritten documents, carved artifacts (e.g. Egyptian hieroglyphs, Mayan glyphs) and other external memory systems (like the Inca Quipu, a knot based system). And probably (potentially many) other memory systems we actually fail to identify as being one. The oldest known writing system goes back to Mesopotamia some 208 generations ago (3200 BCE). Side step: Some scholars distinguish writing systems from other symbolic communication systems. To understand the external memory the essence for me resides in knowing as much as possible about the believe system of the person that produced it, not in what is used. Maps and paintings all belong to what I call external memory systems. Side step: The 208 generations mentioned above are calculated in the believe system that our calendar (Julian followed by the Gregorian) is right. In my believe system there is an area where this is not the case. There are strong indications (= unanswered questions) that our calendar might be flawed by as much as 12 generations. What is happening between 200 and 20 generations back in time? Only the privileged have access to the known external memories. Sometimes making a reduced number of more or less exact copies. Many of them are still difficult to access. But things are changing. For example the Vatican library contains 75,000 codices, more than a million books (from which 8,500 from before 1501) and 150,000 items in the library of the pope. Only a few months ago (march 2014) they started the digitization project for initially 3000 manuscripts. Side step: This one is about translation. What is translation? For me there are 2 phases. Understanding the source and then re-express what has been understood in another language. You're now familiar with my concept of believe system and this implies the huge pit-fall of "understanding". Homework: have a look at the chain of translations of the Biblical texts (Who, When, between which languages). Make up your mind. What about the ordinary people? Didn't they had some kind of external memory? Why? How can we learn about the period where we don't have identified external human memories? Let's say 2000 generations in the past (around 50000 years ago). We're in the middle of the last ice-age. In Europe and Asia there were Neanderthals. Around that time or a bit later the first modern humans came to Europe. Believed to come out of Africa. The sea level was about 90 m below the actual (-120 m around 800 generations ago (20000 years) and rising ever since). Stop! There is one thing in the sentence above that might bring your thoughts back to a previous question. Before reading on, can you figure out what that is? When I asked you to think about your own past, how many among you forgot to think about the traces you left? The electronic traces. The plastic bottle you threw away (perhaps ending up somewhere in the sea), the fingerprints you left on it. The DNA you left on a cigaret. The DNA itself that represents a part of your ancestral history. The scars on your body, representing a particular event in your life. Side step: A personal experience. About scars and memory. My curiosity developed very early in my life and has never left me since. But learning the hard way had also some negative consequences. Around the age of 18 months I got severely burnt on my chest. On a sunday morning my father was pouring hot tea in a cup to serve it for my mother in bed. I was curious to see what was going on on the table and reached out. Flipped over the cup. You can imagine the rest. Second degree. That scar is still visible. But what is curious is that I'm not supposed to have any memories going further back than the age of three. But I do. There is one first person and two out-of-the-body views my memory produces related to this event: the moment I reached for the table (first person), the moment my father carried me into the black taxi just before I lost consciousness and the last one in the hospital when the doctor said to my father: "Fortunately he is a boy and not a girl". Made up memories? Possible, my father liked to tell stories and this one has been told a few times. A few words about the dating of this event. For the fun. I have a letter from my father's girl friend in southern France (before he met my mother) from August 30 1958 in which she mentioned that my burning is now nothing but a bad souvenir. That letter is an answer to a letter my father wrote her on July 31 1958. The picture above was taken in our kitchen which was not heated. The last day with a temperature above 15°C was on September 22 1957 and the first one next year on May 8. I didn't traced my length curve yet, but that might give another precision for the picture. My actual estimation is that this accident has happened by the end of 1957 or more unlikely in May or June 1958. My parents died 10 years ago but in 2012 I was able to trace my father's girl friend and had a few mail exchanges with her. Unfortunately she doesn't remember much of the period in which she met my father (in this period of the year but 64 years ago). She must be close to the hundred now. I tried to meet her in person but didn't succeeded in that till now. Or perhaps the subtitle should be: not-combining what is known or the lack of multidisciplinary science. When reading about astrological orientation of ancient human constructions (pyramids in Egypt, Stonehenge, UK, etc...), there is at least one thing I cannot find in the documentation. It's plate tectonics. The African plate is moving to the north-east 2.15 cm per year since 100 million years. Europe and Northern America are drifting apart at 1.5 cm or so per year. Speaking about plate tectonics, ever seen the origin (coordinate 0,0) mentioned? Are we measuring only relative plate movements? If the pyramids are dated 5000 years ago, then the relative movement was about 10.5 Km. Is this used in the astronomical math? Is it negligible given the measurement precision? Show me. The same question arises for Stonehenge and the Eurasian plate. Can you figure out a question related to Greenwich, atomic clock, length of a day and plate tectonics? And one for Darwinian evolution theory and global variation in human physical aspects? Can you come up with something you "know" in a specific scientific domain that apparently isn't taken into account in another domain (and it looks like it should have been)? From a historic perspective scientists have become more and more specialized because a human life is so short and access to information rather time consuming. Now a huge amount of information is accessible. As stated earlier, it is still far from what is needed to get the answers to the right questions. But this is within reach. If we want. If everyone is convinced that everything should be published and accessible by everyone. Even the raw measurement data, allowing potentially everybody (including artificial intelligence) to verify the conclusions. We have made the first baby steps towards a real interdisciplinary scientific and cultural collaboration. Let's get mature and hurry on. This post is a long and winding road. I'm fully aware of that. And I hope it has, if necessary, opened your mind a bit to think for yourself. To ask yourself questions. That navigating between various disciplines is a must. That you are the owner of your own belief systems. And that this belief system is unique. I didn't include any reference to data I used. On purpose. Because I think it would have been distracting. The target was to make you think in a particular way. The data I used was for illustration purposes only. Not to provide answers, nor to provide questions. To some extend you are reading this because of the 12 spoons in the photo above. In this post I'll expose my thinking framework, the method if you might call it, that allows me to set up a question network. Most often when I see, read, hear, feel or write something immediate questions pop up. And they are one or more of the 5 W's: Who, What, When, Where, Why. Side step: Question: Are there other kinds of questions I ask myself? Immediate answer: yes: this questions itself is of a different kind. An immediate negation: no. Reformulating the question in What are the other kinds of questions I ask myself? makes it fitting in the 5 W's. Lesson learned: don't ask questions with a yes/no answer. 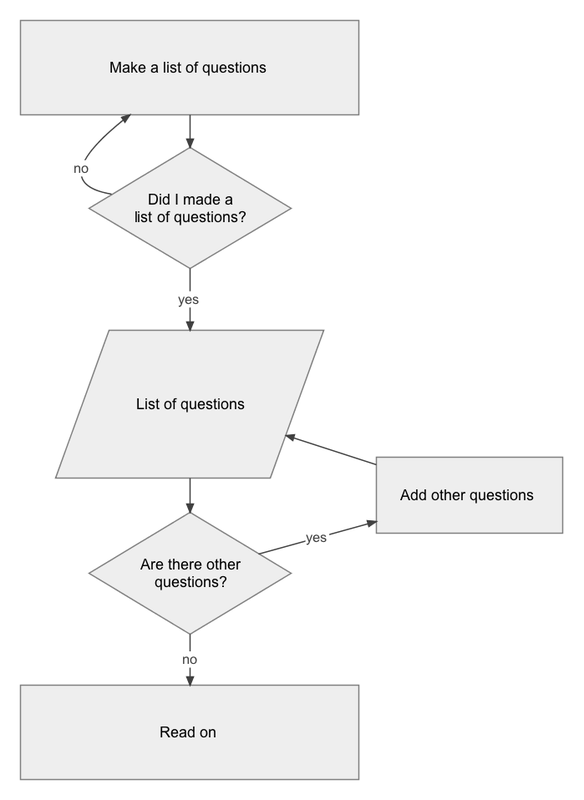 Ask open questions (or reformulate a temporary closed question as soon as possible). Often others before me have asked the same questions, so possible answers can be found. In the current age more easily then 2 decades ago because of the high and easy availability of them. Try to find other questions? Think about the question and if possibly reformulate it? Although the things I do to set up the question network are quite consistent, the order in which it is done is at best erratic. This works for me. You might have a complete way of discovering things. And that's fine. The best way to show you what activities are involved in making up my mind on a specific topic I propose to take you on a example tour. And will see that the initial specific topic is sometimes the least important (in time spent, in valuable insights, ...). If you're reading this you are in an age where you're not a blank sheet. And if you are an artificial intelligence and can understand what is written you're neither. So at some places I assume there are thinks you know (in which I might be wrong) in other places I'll explain things I assume you don't know (which might be wrong also). But I think I have no alternative. In my personal notes I use permanently reference to sources providing some kind of information. Unfortunately when enthusiasm, speed of thinking, or something else makes me forget to do so, regrets are on the agenda sometime afterwards. But the situations where back-tracking to the origin of notes became necessary, provided lots of experiences. These are slightly of topic but the most important are the following. Internet resources are not stable over time (make local copies). Relying on things like browser history is highly unreliable. Notes about an article, presentation etc. are a subset of the whole (probably only what appeared most striking at that moment). Memory retains more then the notes. Completing these notes after a second reading (perhaps much later in time) is often useful (mind has changed, attention focus has changed, mind wandering occurs at different moments, ...). In the example I'll take you through, I'll omit the references because for showing the process it's not relevant and doing so should avoid you of being tempted to deviate from the red line. The first thing I do is ask the question: What are the facts? In other words: What is not subject to discussion (further questions)? 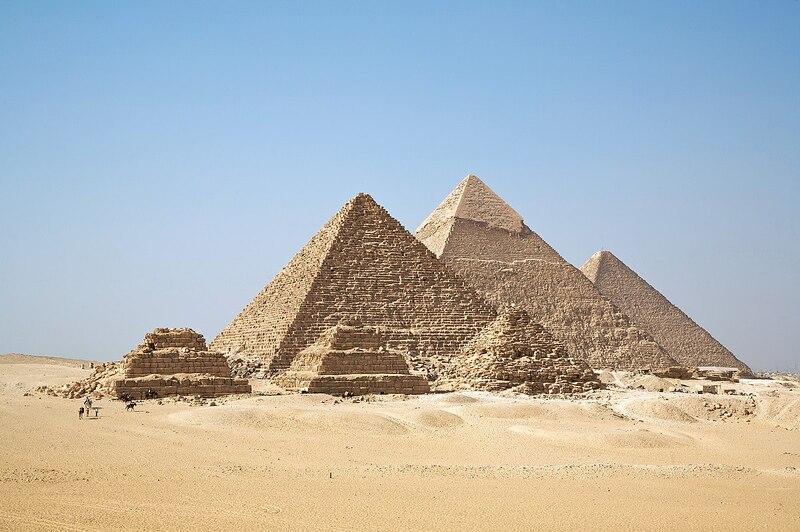 There are pyramids in Egypt. Some are (partially) made of huge blocs (megalithic pyramids) others aren't. Some have hieroglyphs, some haven't. There is a relation with pyramids in other parts of the world. Why do I classify this information as facts? Knowing that images can be falsified (including satellite images), human observation is not reliable, etc. (I've been there, done it, got the T-Shirt, so these things I know (facts) are from personal experience). And of course we might live in a completely simulated world. It's up to every one of you to make up your mind about this step. But be prepared to revision your axioms. And be pragmatic. This action consist of generating as many questions as you can. Personally I associate them with further actions get potential answers, exploring hypotheses, finding details etc. This is a real explosion of questions in many cases. What are the natural stones? What are the potential artificial stones (sort of concrete)? What are techniques to distinguish natural from artificial blocs? Where do the natural stones come from? Why were huge blocs used? What are the physical properties of these blocs? What function (mechanical or other) might they have? What techniques might be used to transport them? What population was needed to transport them? What do they mean (individually and as a story)? Where does the interpretation of the meaning come from? What is the age of them (compared to the construction)? Why in some pyramids there are none? This initial primary question set is always long and incomplete. The questions themselves might often need reformulation (more precise or on the other hand more generic). At many points in the whole process I look for existing answers. The existing answers are initially considered as a more or less plausible hypothesis. The reason for this is that most answers don't provide the necessary argumentation to make it into a fact or even a plausible hypothesis. What are the floating conditions necessary to transport them (Archimedes law)? Can these floating conditions be achieved with the known techniques of that time? What materials where used for the boats/rafts? How long did these boats/rafts last? Was there enough building material for the boats or rafts available, and where? Could the Nile be used during the whole year? What technique(s) were used to get the stones on the boats/rafts? Is transport over land from the quarry to the Nile feasible (altitude profile, transport techniques)? What time would the transport take? What population is needed to support the workload? What social system was needed? All these questions form what I call the secondary question network. And of course answers to these secondary questions will probably bring up new questions. But perhaps for other reasons then you might expect. Inaccessible answers: hidden in non public accessible scientific papers. Never been studied (low priority, no budget, taken for granted). Incomplete scientific data (meta data, raw data). What is interesting to notice here is that starting with an archeological subject you cover domains like geology, hydrology, sociology, economy, ecology, astronomy, engineering, etymology and as we will see further on several other domains and implying a much more extended time span then the pure archeological context initially considered. After being thrown into this ocean of questions, floating on the surface and taking a few deep breaths of fresh air will provide fertile conditions to some other aspects of this quest. A few other mental exercises are ahead. Before reading further, please make a short list of questions that bother you in relation to this post. Not on specific parts of the example I choose, but more on the ocean of questions. I hope you did, but for most of you I'll never know. But I can tell you what I've put on that list. The Why's of why I cannot access certain answers (see the last list above). Things are on the move for most these, but we are far from the desired situation (from my point of view) and there is a lot of legacy stuff to correct. Which of these questions (issued from an archeological topic) can be applied to examples in other domains? Asked slightly differently: What is the more generic form of the question that can be applied in other domains? You know your classics, don't you? So you know the answer to the ultimate one. The only thing to do is finding the ultimate question. Earth failed to provide it in 1978. Perhaps we are ready for it now. Why do I have so many questions? Why am I interested in the answer to so many questions? That's an easy one: I just want to know (or at least have the feeling that I know). To see how things are interrelated, connected. Hmm... In fact not so easy. What's creating this life-long drive? Why do I want to see how things are related? Hopefully I can give you an answer somewhere in the future. I owe you that. Why are the answers not just well known facts? or Why do we have to study our past? Answer included in the forth question. Why does knowledge gets lost over time? Question: Is it really lost or do we just fail to see it (interpret it for what it is)? - so normal that it is not considered worth transmitting it on purpose. (e.g. etymology of expressions). - replaced by something "better". - pure biological: master and apprentice, oral (myths, legends, stories, daily life), telepathy? - using pointers to where to retrieve it when needed. What are the motivations behind voluntary obfuscation? Already shortly indicated at the end of the chapter "Looking for answers", there is no scientific domain that is not interconnected with all the others. Current, past and future. Boxing science (separate science in domains) is equivalent to blinding yourself and thus no so much recommended. It wasn't in the past, has become that way later on (and that is fully understandable), but I'm convinced that now we can break that artificially erected barrier. - share it in the comments. And as you might have guessed if you have made it up to here, I'm quite open to questions. Stay tuned as there is more to come. Why this series of posts? At several periods in my life I experienced a strong feeling of restlessness, hungry for the unknown, the need for having a feeling of understanding, connecting the dots. As being on the edge of an important change or insight. Sometimes I describe myself as knowledge wolf and in these periods this aspect is extremely strong. The past few months where of this kind, and this period is not yet finished. Thinking about the foundations of Gaia (the she artificial intelligence described in another series of post), thinking about the implications of artificial general intelligence and starting to build her certainly played a role in the start of the current process. Most (or at least some) of you will have assumed that it refers to Douglas Adam's "The Answer to the Ultimate Question of Life, the Universe, and Everything". And those who did are right. When cogitating about a title of what I was going to write about, several options came across my mind. But as the final outcome was not clear, I choose the road that has some resonance in some of you. And if it doesn't, I recommend to catch up. (if you don't know the answer just copy those four lines in the Google search box and you'll find it). I'll provide a few random questions to give you a feeling about what kind of things bother me in these restless periods. The order is random. Why did the (proto) humans migrated to a hostile environment (ice age conditions)? If some people experience para-normal things (telepathy, telekinesis, levitation, ...) why other's don't? Why is this more frequent in some cultures and less in others? Why is this more frequent at the adolescent age? What is the real effect of earth magnetic field inversion? On shielding radiation, on animals using the magnetic field, on us? We all agree that we all disagree on a practical definition of cognition. But why can't we agree? And what about the term knowledge? Some past advanced civilizations didn't have a known writing system. Was oral transmission the only other way to transmit experience. Why particular structures like pyramids and stone rings occur in various places on Earth at periods where communications (travel) between these areas seem improbable? Why and how the enormous blocs of those structures where moved. Why do we have gut feelings? Why do we only use some 10% of our brain? Under what conditions traveling faster then light is possible? Why was there no social, theological and technical evolution in Europe in the Dark Middle Ages? What does the Google "AI" make of my browsing and search history on all these topics? What triggers in me the occurrences of these hungry periods? Why don't we learn from the past as much as we could? On purpose I omit the topics here. Think about them in short-, mid- and longterm past. Why in the past important inventions occurred apparently at the same time? Do black holes exist or not? Why do we fail to come up with coherent answers to these questions? Or at least with answers that resonate positively? Why do some answer resonate positively and others don't? How many questions there are between 15 and Z? Let me explain why. Many things I read, hear and see bring up new questions. Sometimes it is the facts, sometimes it is the explanation. My next task is to synthesize all my notes, formulate the not yet expressed and make it into a consumable and digestible picture (and writing). but don't nail me if I fail at some points. I don't like being nailed physically. Intellectually is fine, I see it as a challenge and/or a lesson in humility. I don't pretend to have the answers to all of those questions (and the others). But I will try to set up a framework (a way of thinking) having the potential to find them. The past few days were funny. And with a big surprise. And one two blames for myself. Working on the development of Gaia is a nice challenge. In more then one aspect. I promised to keep you up updated on the progress, so here is her second round. Her toolkit has been generalized and the individual tools can be chained in tool sequences. Gaia's toolkit and examples of tool sequences. She can combine whatever tools she wants in whatever length. After running a sequence she will receive an evaluation as the output of running the sequence. As you can see in the figure (T-L-F example) , she can apply a sequence more then once before receiving the evaluation. There is still some work to do on the evaluation functions as they are extremely important for what and when Gaia is learning. A reference to the sequence, the evaluation and some contextual information is stored in her experience centre. Her mechanism to exploit her learning process, as it is registered by the experience centre, still needs some improvements. Most of the tools can receive one or more configuration parameters, another choice for our learning A.I. If she creates a tool sequence that doesn't make sense at a particular moment in time, running it will simply return a very bad evaluation. For example using a memory manipulation tool on an empty memory makes no sense. Applying the tool later in time does. And of course other tools are on their way. For developing Gaia, to see when she is doing what, several tools are necessary. The first specialized tools are shown in the picture below. Gaia's environment tools so far. CouchDB is used to store her memory and experience center in a persistent way so it can be reloaded at any time. Both take the form of JSON documents. As CouchDB allows to retrieve old revisions of documents, it is possible to go to an old combination of memory and experience center and restart from that point. Extremely practical in case of unintended changes due to a developers experience that was not so successful. Every change in her memory is also send to the mutation server that stores them for possible later playback. 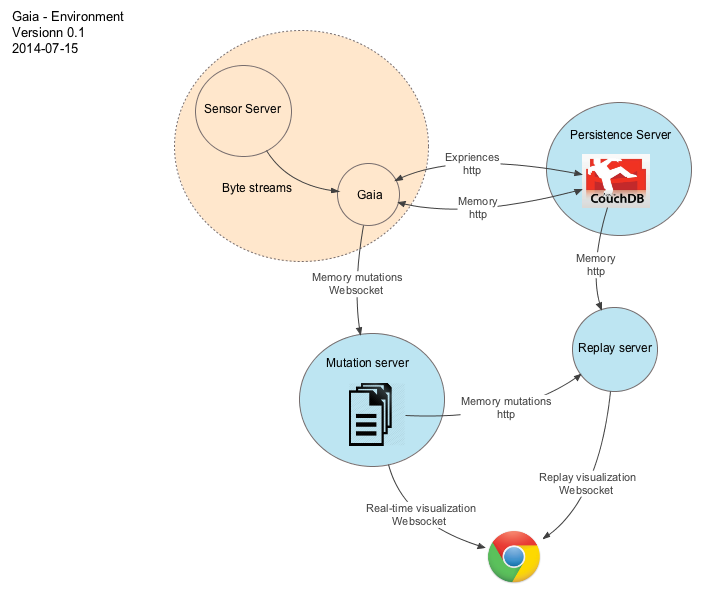 Using the efficient websocket protocol enables a real-time visualization of what's going on. That the real-time viewing and the playback possibilities are very useful was shown today. The video below is an camera registration of the real-time display. When running a test run with Gaia I was looking at how her memory was evolving over time. Suddenly I was triggered by something unexpected. First let me explain what you in these snapshots and video. Every dot in the image is a pattern in memory that has been modified since this tool was listening to the mutations. This run started with some 76 000 patterns in memory which are not shown. 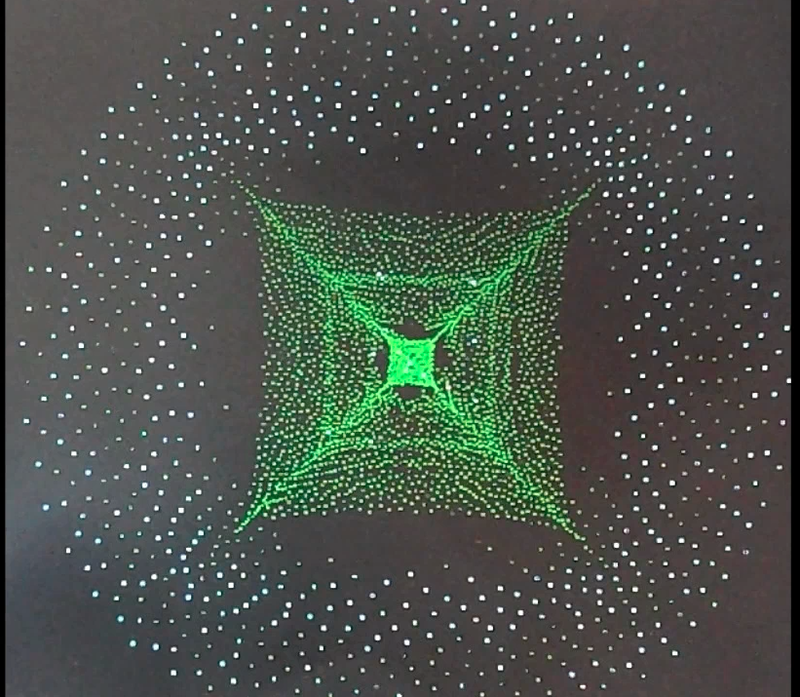 The graphical tool used let new patterns appear in the center. New for the graphical interface, not necessarily for Gaia. As time goes on these early patterns move to the outside. The bright spots are patterns that have recently "fired". If they are in the middle they are new, if they are not it was an existing pattern in memory. The geometric figure in the middle is just an artifact of the graphical tool. It has nothing to do with the memory of Gaia. The tool can't simply keep up with the high speed of Gaia. In the playback tool, things are slowed down on purpose, so the graphical tool has enough time to display everything. The picture below shows approximately the same moment in time. Snapshot of the replay of memory mutations. In the video and snapshots you can clearly see two rings of bright spots on the outside. 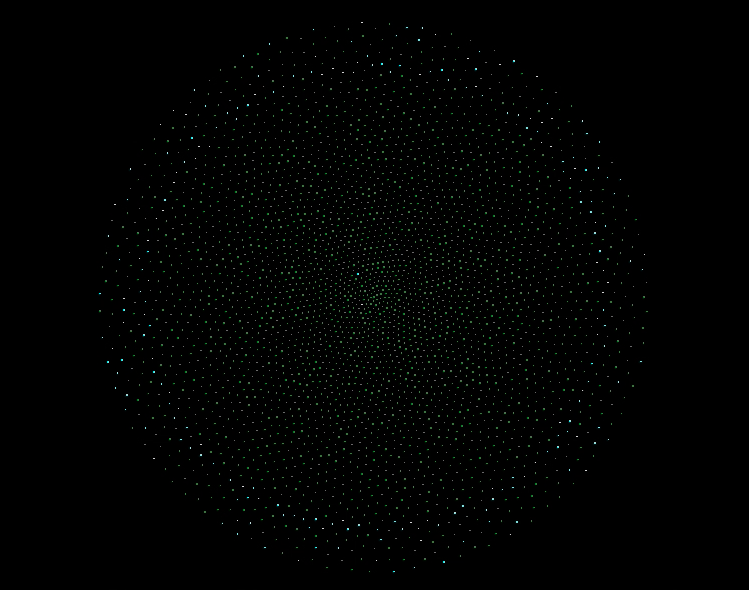 All the spots in a circle have fired for the first time (for the graphical tool) at approximately the same time. They appeared in the middle and have all gradually moved to the outside afterwards. It is most unlikely that a same set of patterns (same "ring") will fire again. The only valid explanation is that the same text is seen a second time. And as I wrote in a previous post this shouldn't happen. Triggered by this, I discovered that there was a bug in the file selection section that might re-use a file even if it had already been submitted to Gaia. Another thing that can be seen in the video is that this same phenomena appears several times. If it would have been just another file that is read for the second time, the patterns would appear in circles also, but not the same ones. And yes there was another bug causing a stream to be read again instead of moving forward in the stream. Why is there a dark band between the two bright ones? Shouldn't there be one bright band for each file that is read a second time? As explained above she has several tools she can use. Each bright band is a phase in which she uses a tool sequence that consumes the sensor byte stream. The patterns in the dark band between them are created during a phase where a series of memory operations modify the patterns, but nothing is read. And they will only occasionally fire when she continues reading. The video below shows a part of a second identical run, this time with a video recording. To realize an identical run needed some manual interference in Gaia's functioning, else it would not have been an identical situation. Concluding I must say that the time invested in making this visualization has already proven to be worth it. I'm not sure that discovering both flaws would have been easy without them. Before providing feedback on the progress made in building Gaia, I want to share today some other reflections not yet expressed in previous posts. For me one of the most important questions we should ask ourselves in relation to AI is what such an AI should do. To be able to provide such services big data is collected and one or more machine learning techniques are applied. Targeting the intended service. All these services are improved permanently (although some improvements or experiments are questionable as the recent manipulation of sentiments by FaceBook). As far as I'm aware of there are only a few efforts to interconnect all these kinds of services and the underlying data. But they will. And soon. And at a large scale. We will all have some sort of personal digital assistant available through a more or less obtrusive wearable. And switching to the non-wearables when available. Such an assistant will be able to provide, at a certain point in time, a choice out of a fixed set of services. Of course new versions will provide enhanced and extended capabilities. But it will remain a fixed list at any point in time. If you would want to think in terms of learning in this context, two views should be combined. Learning what the meaning of data is will come from the combination of these huge data silos. Within each silo the meaning is somewhat implicit. Learning how to do something comes from the organizations that introduce new services or combine existing ones (the teachers). Gaia is conceived in a way that she can learn from the beginning for and the How and the What. She is actually learning how to handle the various data streams in order to define what the meaning is of those streams. This is the focus of the part I'm building now. A similar learning paradigm will be applied for learning on the output side of the spectrum: what to do or what information to provide and how to achieve this. She might even learn that there are well-known services that do certain tasks well and use them. Or she might create her own stand-alone specialized child services once she has figured out the what and how of those services. Concluding, I like to see both approaches of Artificial Intelligence as complementary. Especially in a short-, mid- and long term perspective. Edit 2014-07-17: Corrected the image problem. A leap in artificial intelligence? - What I learned from Gaia. What I learned from Gaia. A better phrasing would be of course "What I learned from the development of Gaia." But that doesn't sound like an appealing title for a blog post. So I'll leave it that way. And of corse there is an implicit "so far" after the title. In a previous post in this blog I told you that I choose to personalize this new form of Artificial Intelligence. Calling it She (or null-She if the interface doesn't allow the glyph). She = the non-human She. That it allowed me to think in a different way about how to build this AI. Expressing things in terms of goals, desires, ... from her perspective. Even if she doesn't have one yet. When I take a few steps back and look at my own way of thinking, mind-wandering, analyzing possibilities etceteras, retracing the What, When and Why of new ideas, I became aware that this tiny little choice (calling Gaia a She , personalizing this AI), has had probably a huge impact on where Gaia is heading to. Of course I can't rewind what has happened. Unable to do a "What if ..." for the process. So we'll never know what might have come out if I had chosen to it-tify Gaia. Of great value are also the interactions with sound and open-minded critics or just curious persons. Running ahead on what I choose to write down in a particular post and what to preserve for later. A short explanation on this is perhaps useful to make you understand what happens in my mind. More than a decade ago I had the opportunity to read A New Kind of Science by Stephan Wolfram. After the first few chapters I had a very strong feeling of déjà-vu with the things he's explaining in this book. And that has all to do with the nature of complexity. Or better: the way complexity can be achieved. Back in the late eighties, I was conceiving the first version of what later became the "Semantic Network Technologies"(comparable to Google's actual Knowledge Graph). And it took me some 2 years to figure out an information architecture concept that and felt good and was capable of capturing the real complexity of our information world. Not just a hypothetic perfect world. The good feeling came from the fact that the basic building blocs of this architecture were simple: nodes, relationships and properties. And the needed complexity could be obtained by not limiting (from a technical perspective) whatever combination of these building blocks. At the turn of the century I extended the information building blocks concept to the handling of them through the idea of elementary operations. Stephan Wolfram came to a similar conclusion, not from a semantic perspective but from a mathematical one. But I sensed a similarity. And that felt good. Back to Gaia and the discussions about Her . The plans on how I want to build Gaia are far from achieved. You can see it as a dendroid with numerous alternate paths and for which some branches remain unexplored. Trying to explain this complex design to others forces me to think about it in way that should feel good (sort of natural, achievable) for the intended audience. That is ... You. Which in turn brings me to rethinking about what the essential buildings blocks of Gaia's "brain" could or should be. Both for the information itself as the handling of them. What the possibly relatively small set of functions (the elementary ones) should be. If the sequential and parallel combination of these functions will provide the required complexity. To think about the code written so far. Asking myself the question: Does this code allow the flexibility She will need? At what points the code implies a human way of 'thinking" about what the data means and how to handle it? If there are any, can I change this? Do I want to change it? Change it now or come back to it later? Potentially there is of course a danger here: the never satisfied syndrome. But progress is a very strong drive for me. This way of looking at what is achieved at a certain point in time allows me simply to "fail fast". To quickly move on to an alternate path. The "story teller" in me drove me this evening to write this post. Completely unplanned and it took me off guard. But as always I hope that my personal experience will give you some food for thought. Reactions on my post Building the beast. There have been several interesting reactions on my post of yesterday. Showing that there is interest in what Gaia is heading for. And I thank all of the participants. I didn't anticipated that, but I should have. As my answers were in general quite long, I think it might be useful to group them together in this post. (it will be easier to read). The only thing I modified is that in the comments the glyph She cannot be used and I used the "null-She" instead. In this post they has been replaced by the glyph for improved readability. The topics are grouped in a few categories to allow you more easily to read the ones you're interested in. If I understand correctly Gaia learns from evaluating her own output. The Experience center looks very promissing. If I understand correctly she will be able to forget. You're right. Learning means having someway or another feedback. As there are no humans in the loop for the moment she uses the evaluation as a feedback loop. She will forget memory patterns if they are not used for a long period. They sort fade-out over time. I didn't plan to apply the same technique to what is stored in the experience centre. Interesting approach - my one question is whether frequency makes any 'sense' as a base capability? What I mean, is that 'she' considers freq a high value, and computers/machines are good at that - but humans, are generally not - for freq things we push that to a 'muscle memory" but few of us would know how many things occur in any environment. I wonder, it it makes more importance to use freq in places we would care - like if nouns are used many times (places, people etc). And quite oddly, if they occur very in-frequently (we often recollect rare and odd singular experiences). Dunno. Interesting work though. I fully agree that the frequency aspect (or better the tools that might use that) is something I expect her not to use at a more mature level. At this stage however it seems an acceptable solution to make a first shift in the byte garbage she is receiving. We'll see what will be used when there are more tools available (even at this level). As humans we handle a lot of the high frequent stimulations at sub- or unconscious level. This allows us to drive car without being exhausted after a few minutes. The infrequent stimuli will often induce special attention. How do you plan Gaia's communication with its surroundings in order to connect meanings to plain words? In that sense what internal structures do you plan to redefine her importance-classification by relying on something else than frequency? While I was working on the semantic network technologies one of the important findings was related to meaning. We can only attribute a meaning to something if that something is associated with some context. If it isn't that "something" remains meaningless. When memory is the context provider the initial provided context will probably not be unique. A whole range of potential correct contexts will pop up. Further information (later in time, or in parallel) allows you hopefully to narrow down to one context. If this is not the case there is an ambiguity in meaning (which is not necessarily a problem). Gaia's infant memory has no associations. Her next level memory has. In the infant memory, besides the identifying byte patterns, frequency and time are about the only things that can be associated with these elements. For the moment I don't see the need for absolute time, so I do not use it. Talking about relative time implies association (later, sooner, at the same time) which is one the of kinds of association she will make in her next level of memory. A written word, a spoken word and an image (three different memory elements) will be associated with links that carry a meaning like < is an alternate representation of>. The parallel channel handling is one of the important (but not the only one) ways of creating these associations. Compare this to a baby's early perceptions of "mama": a sound, a face, and a range of emotions probably representing well being or happiness. If you're familiar with the holoarchy paradigm you can see these three associated memory elements as the smallest possible (useful) holon. These three kinds of elements, even associated, are still meaningless because they are not related to any context. Her next level of memory will extend this first initial kind of association with a whole bunch of other kinds of associations providing context to these elements. I'm inclined to associate the words importance and classification in your question not so much with building the memory but more with using the memory. I owe you the answer later on (please remind me of that if I forget it). These three are all closely related to the Experience Center and do occur there already. I see! You are trying to make an AI learning from scratch. Some philosophers think that is how the human child's brain works; tabula rasa, the empty slate. No innate knowledge. Innate knowledge is reserved for the animals. The question is if this is the most effective approach. Chomsky, in his book the language instinct, presupposes that a meta grammar is present initially, on which the child build the specific grammar it detects in its language environment. May be such innate tools should be implemented to jumpstart the AI learning process? I have no reason to believe that we are so much different from animals such that they do have innate knowledge and we don't. Having said that I have no idea what innate knowledge humans might have. I'm far from convinced that Chomsky is on the right track with his idea about meta grammar. It simply doesn't feel right. That it is to much an artificial model, and as with all models doesn't express what's really going on. One of the expectations I have with Gaia, is that she will be able, after a while (that may take some time though), to really understand a language. And more then one. But not from texts alone. One of the fundamental ideas behind the concept of Gaia comes from the way languages can be learned. In my opinion there are only two important ones. Either by translation or anchored in reality. The first is how we learned languages at school (although not entirely). Google translate is also based on those foundations (but they do use, if I'm right, some anchoring in reality with the help of image tags). The second is based on association. Combining written and spoken word with a visualization of the context and the objects in that context. If I can maintain the general aspect of the Sensor Output Consumer, i.e. not specific for any kind of byte stream, the plan is as follows. she has done that she will have to discover the width of an image (in terms number of pixels). Both steps will require a similarity function. I'm not sure yet whether these two properties will be discovered one after another or at the same time. For the detection of what a pixel is, the axiom is that similar adjacent pixels are more frequent then adjacent pixels that change completely. For the width detection she will have to detect that certain ranges of similar pixels occur during a certain period (number of lines) at a certain distance (the width). And that these recurring patterns will overlap (right and left side of an image) within that distance. In the next stage she will have to switch her center of interest to the break points in successive similar pixels. We here enter a category of algorithms that will produce probably the same output as the classical contour detection algorithms. I'm not sure yet if the algorithms will be the same though. This will need some hands-on experiments. The idea is that from elementary pattern detection building blocks, including disruption detection (what I call tools) she will come up with her own suite of tools to apply. Sort of making her own algorithm. In terms of the learning center, she uses actually one tool with different settings. The image handling will require the discovery of tool suites (some of which will have parameters, e.g. the similarity functions) and second to apply them in cycles. This is Gaia's next challenge, and mine for building it. Newborns can only see sharp a few inches from their eyes. The background is blurred. The reason for this might very well be the need for a progressive evolution / training of our vision system. Limiting initial pattern detection in only a small area with relatively big objects. If the process described above doesn't work well with full sharp images, I do have the fall back option to down scale to the way young babies start using their vision system. Not by providing smaller images but by blurring the outsides. The presence of the blurred area is necessary for the contour detection. I don't know exactly what the influence is of the baby's possibility to interact with the objects within their vision range on the evolution of the vision system itself. It might be very important. The term frequency–inverse document frequency requires the notion of document and the notion of term. So please consider the following. For Gaia (at this stage) the concept of document doesn't exist. In fact she is receiving one single stream of bytes finding their origin in several documents. There are no special "patterns" defining the beginning or ending of a document. Second she only deals with patterns of bytes (again at this stage). Such a pattern might correspond to what we would call a term, and sometimes it will, but often it will not as you can see in the memory dump. Furthermore the existence of "terms" only exist through notion of identified term-separators. And she is not there yet. But in the memory dump you can also see that she is not far from identifying at least three of them. In fact I did test the algorithm by providing the most frequent 1 byte pattern and the results are much better. But that was in a unit test of the algorithm. I want her to discover that alone. Finally, and perhaps not the least, consider the goal of Gaia and the purpose of the tf-idf algorithm. The algorithm is targeting document classification, ranking and so forth. The actual goal of Gaia is (sort of) trying to make sense of the data stream. These two perspectives are not compatible. I'm not sure how using this kind of method would help that AI understand anything faster than usual natural language processing methods. I think you would need an incredibly good algorithm for the AI to be able to understand any stream of byte. You'd need something like the brain. That seems a bit too hard an objective to me. I've worked with NLP tools for the past decade. In what I call my Semantic Network Age which lasted for 2 decades. I've been there, got the T-Shirt. I know the things Google is doing, in particular the views of +Peter Norvig , +Sebastian Thrun and the DNN of +Andrew Ng . Although continuous progress is made and the actual techniques are far better then those of 3 years ago, something is missing. 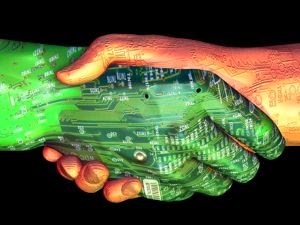 In my blog series "A leap in AI?" (notice the question mark) I try to pin point what might be necessary to improve our actual AI not by 10% but by a factor of 10 . +Solve for X call these moonshots. So I fully agree that we'd need something like the brain. 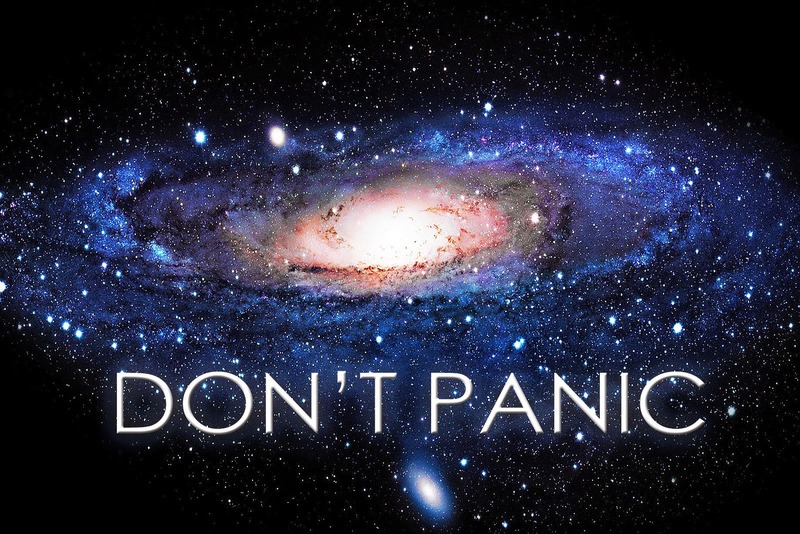 It will be hard, but that's the case with all moonshots. What I didn't understand is what kind of algorithm you are using. Are you using machine learning ? Gaia is learning and even learning to learn. And as she is software it's machine learning. If you're referring to "classical" ML techniques, the answer is not at this moment.